Martijn Vranken is a Project Manager for AdVision Finance. 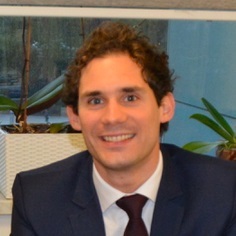 Throughout his career, he has been working in the financial services industry in the Netherlands and emerging markets with a focus on SME finance, microfinance and rural finance. While writing this blog, I think I am pretty much where I want to be in my career: working in the right sector, and working for the right company. Currently, I’m working as a consultant for AdVision Finance, a Netherlands based company that works for banks and MFIs in emerging markets and developing countries across the world, where my work focuses a lot on agriculture finance, operational efficiency (which involves analysing and improving all kinds of processes), and (digital)technology. However, a couple of years ago I wasn’t there yet. At that time, I was working as a consultant in one of the largest banks in the Netherlands. Although I enjoyed it, perhaps the upcoming dilemma of turning 30 made me even realize more that I should pursue what I wanted to do for years. That is, working for a bank or company that focuses on the financial, as well as on social and environmental impact. As I was figuring out what could help me to get such a job, I started to do some research where I could find a course on microfinance or SME finance, which almost immediately brought me to the courses from Frankfurt School Development Finance e-Campus. Although there were several renowned universities offering similar courses, what really appealed to me in the Frankfurt School courses was the e-learning aspect, the fact that you can study in your own pace and the online guidance and platform. This makes it ideal for people who have a full-time job, but still want to study after work. I quickly made up my mind, decided to go to Frankfurt School Development Finance website and enrolled myself in the Certified Expert in Microfinance, SME Finance (I found out later that my manager was actually one of the trainers for this course) and Climate & Renewable Energy Finance courses. Luckily -almost right after signing up- I got a job as a microfinance consultant, so I could start applying what I learned during the courses almost right away. This is another very strong point for all their courses in my view. You realize from the start that all lecturers are highly experienced practitioners and the course materials -including case studies, come from real world examples. So, if you are out in the field, you can put your knowledge straight into practice. In addition to this, you have to complete 3-4 different assignments spread over the entire course period. The tasks in these assignments are very diverse and range from calculating the cash flow of a new microfinance client after loan disbursement, analysing the financials and ratios for a SME, to building a model based on loan portfolio data (which was part of the Certified Expert in Risk Management course I took later). Although they might take a few extra hours of your spare time, putting some effort into them is really going to pay off and will definitely help you when you are having a conversation with the Head of credit or risk management department. This is actually what happened to me as I recently spent several months working for a large microfinance-focused bank in Asia. And I have to admit, the things I learned during the courses (and especially the more technical parts) were very helpful in my conversations and meetings with staff and the institution’s management. Now, two years and five Frankfurt School courses later, I decided I am still not done studying so I applied for the Master of Leadership in Development Finance (and was admitted fortunately), which will further increase my knowledge and will challenge me for the second time in writing a thesis. However, I am also looking forward to having discussions with fellow students, share experiences from like-minded people from countries all over the world, and perhaps come to Frankfurt for one of their networking events, seminars, trainings or to their Winter Academy. In my view one of the most valuable aspects of studying for an internationally oriented university. So, if you are looking for high quality, practical courses that will boost your knowledge, study in a way that fits your own schedule, and become part of a global network in development finance, you are exactly in the right place at Frankfurt School. If you want to talk more about any of my experiences with Frankfurt School, just write me a message on LinkedIn or write an e-mail to martijn@advisionfinance.nl. I would be more than happy to answer your questions. Hope to see some of you in the virtual class!